Canine Couture Casting Call This Wednesday! Friends, philanthropy and four-legged friends: what could possibly be a better combination for a late summer evening? If you and your pooch have a head-turning personality, join me this Wednesday evening, from 5-7pm at Rough Point, with my friend Michaela Johnson from The Rhode Show for a casting call for the Fashion Show of Canine Couture. 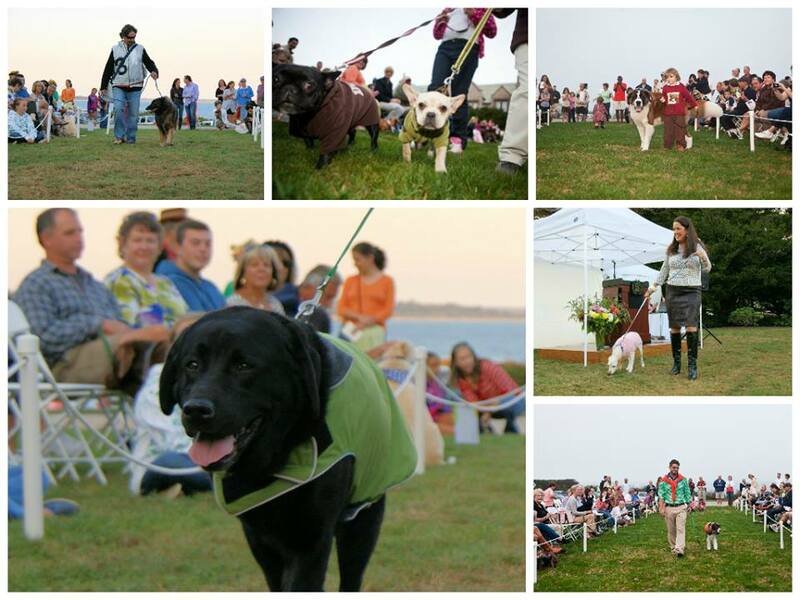 Model hopefuls will be asked to strut their stuff on the runway, 12 Aquidneck Island and Jamestown residents and their pooches will be chosen. Ultimately, six selected winners will appear in the fashion show on September 11 at Rough Point from 5 to 7:30pm (rain date: September 12). Wag Nation will outfit all canine models and their human companions will be dressed in fabulous fashions by Bellevue Avenue boutiques! 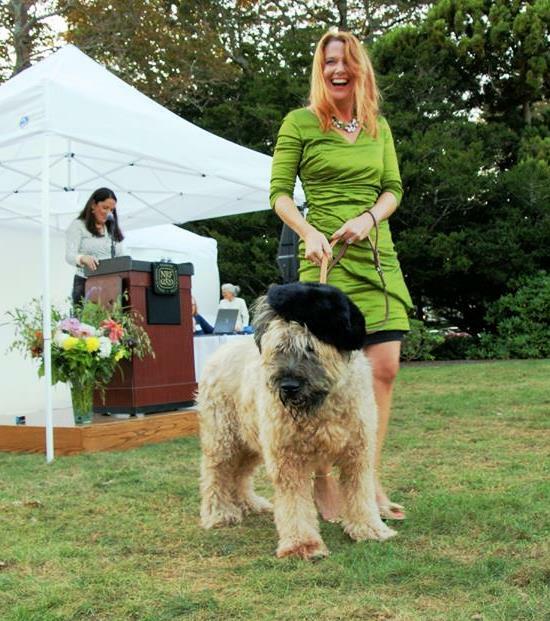 As a Briard is a French sheepdog, my pooch Otis donned an apropos beret. Makeup: Archbeauty, Newport. Dress: Sara Campbell, Newport. Hair: Sabotaged by humid salt air. C’est la vie! Though the idea of strutting down a fashion runway might sounds terrifying (it did to me! ), I participated in last year’s show and it was a blast, not only because you have your favorite furry friend by your side (who by the way, will definitely steal the show), but you’re surrounded by friends and neighbors who are equally sharing in a fun, no-frills night for a good cause. Canine Couture is sponsored by Wag Nation, a Newport boutique for pets, and benefits the Newport Restoration Foundation and Potter League for Animals. For more information, email Liz@NewportRestoration.org or call (401) 846-4152 x122. Style Spotlight: Sea Star Couture	Angela Moore Fashion Show & Champagne Breakfast at Rosecliff: See the Chic Styles by the Sea!